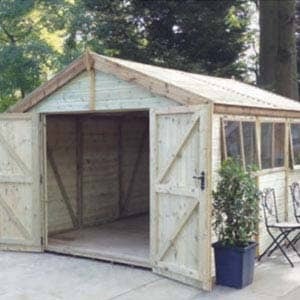 We supply high-quality sheds from our show area in Chipping Norton. 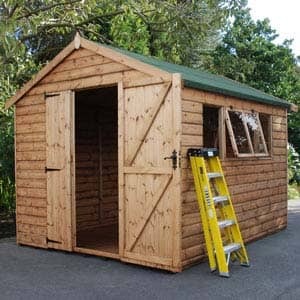 We are a family run business, with over 30 years industry experiences so if you need a shed, we are the people to come to! 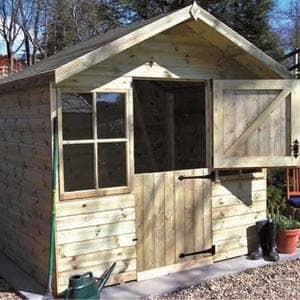 Come and visit our large show area in Chipping Norton, Oxfordshire. 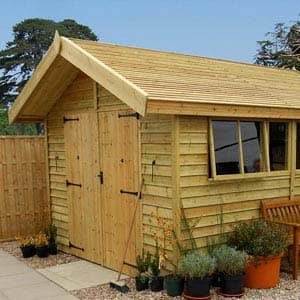 We have a very large range of garden buildings including wooden and concrete sheds for you to have a look at! 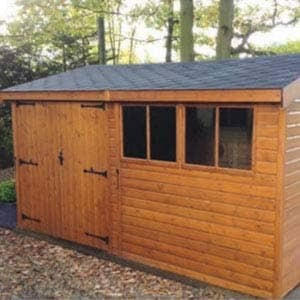 Whether you are looking for a standard Apex or something larger. 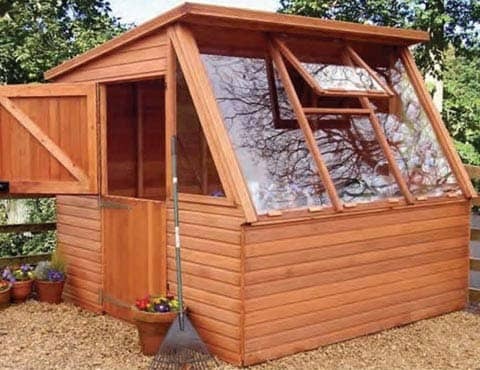 With large windows & plenty of storage space, our potting sheds are the perfect place to pot & keep your potted plants until they are ready to be planted in your garden! 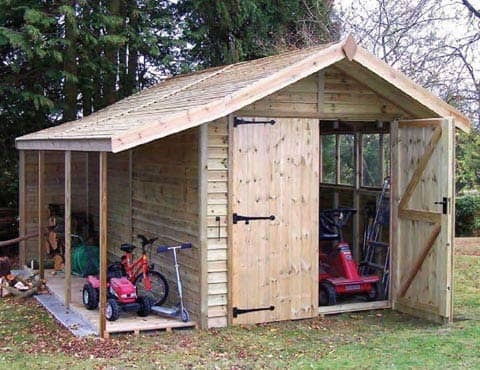 On top of that, you don’t need to worry about complex installs as we will do it for you! 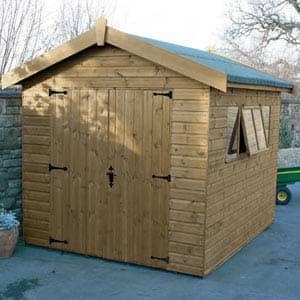 The Pent is one of our most popular sheds and is available many different sizes. 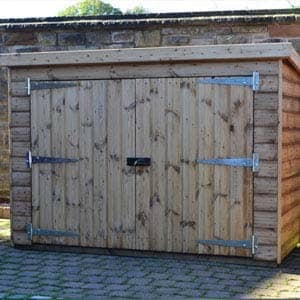 One of the main reasons it is popular is because the value for money is fantastic. 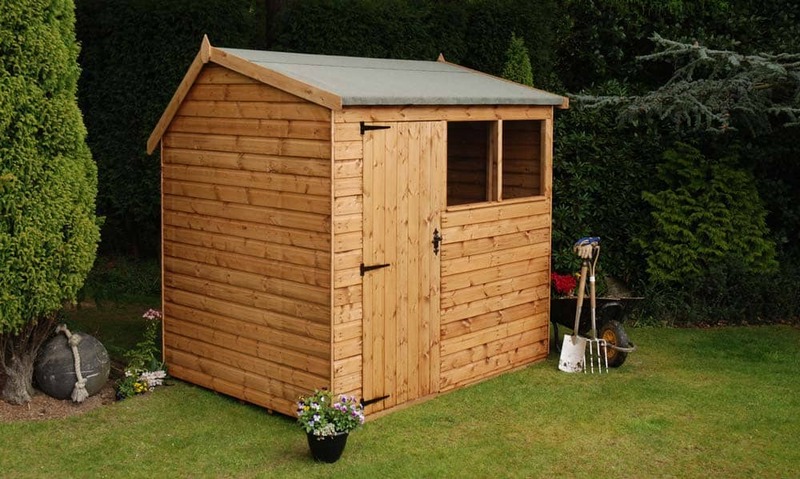 It has a one-way sloped roof and has all the features of any other garden shed that you’d expect. 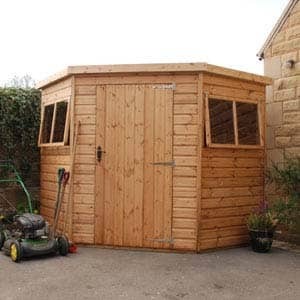 The Pent caters for everyone by being available with 4 different door positions so that you can fit it into almost any garden without having to worry about the position of the door. 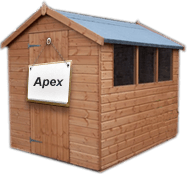 The Apex is also one of our most popular structures and is available in 6 different sizes! 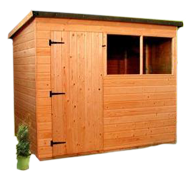 It is always manufactured with quality timber throughout the whole shed making sure that you are getting top quality at a reasonable price. 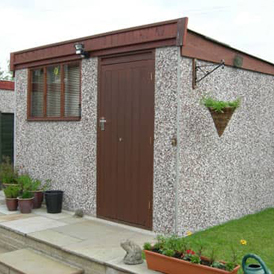 Concrete sheds are a great, low maintenance alternative to your usual garden shed. 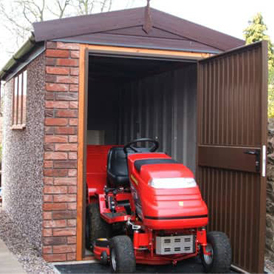 Often used as workshops, the concrete offers more noise insulation if using power tools for various projects. 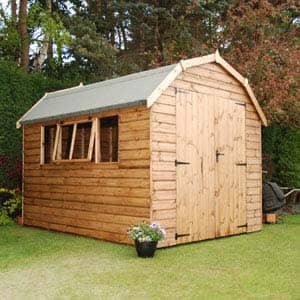 Unlike timber buildings, they are also fireproof, which can bring you peace of mind if you’re doing any type of welding work. 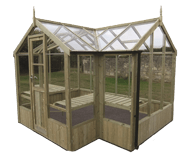 The potting shed is perfect for people who have smaller gardens and don’t have room for both a shed as well as a greenhouse. The front of the building is glazed and has an opening window to allow ventilation. 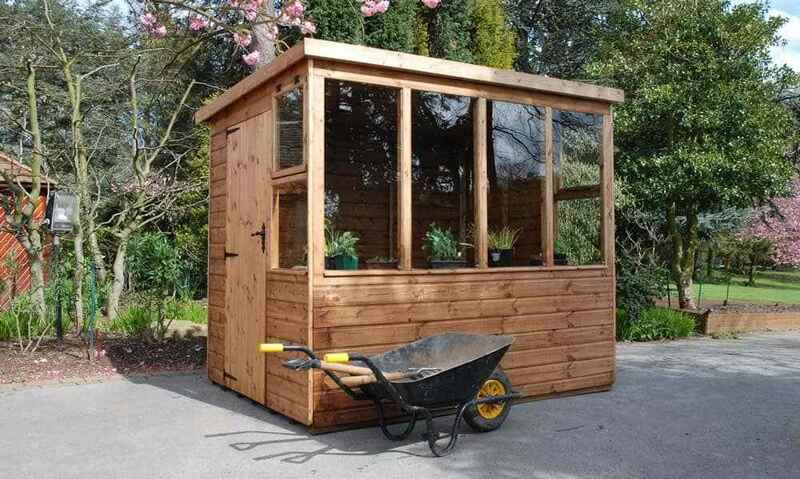 It also comes standard with a two tiered wooden bench which is perfect for putting your plants on, leaving more than enough space to hang up your tools and gardening equipment. 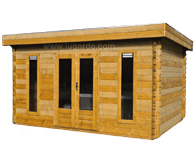 There are many types of buildings that are available from us to buy, and choosing the right one for you can be quite hard. 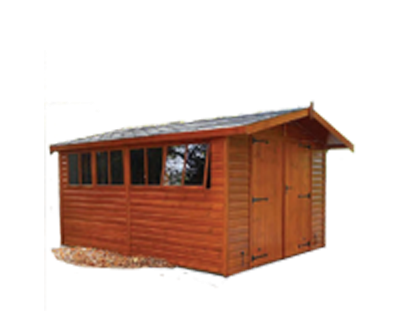 Norton Leisure Buildings offer a wide range of sheds and have a friendly team that will give you free advice to help you decide. 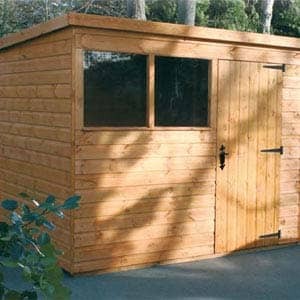 We deliver to everyone in Oxfordshire as well as further afield. 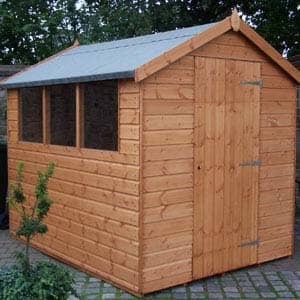 Two of the types of sheds that we offer are very popular. These are the Apex and Pent. 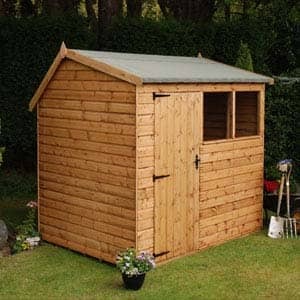 They both come in a wide range of shapes and sizes to make sure that there is one that suits your garden. 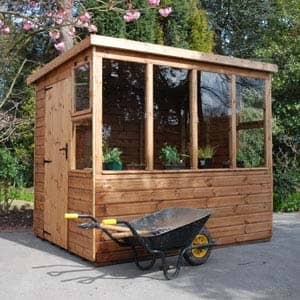 These are the structures that we recommend to those who don’t have any more specific needs and just need a simple store to put their garden belongings. 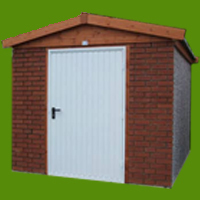 Here at Norton Leisure Buildings, we stock high-quality concrete sheds. 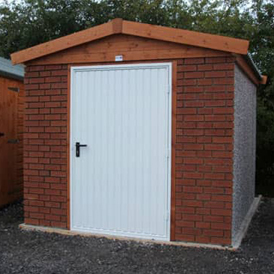 Concrete sheds are a great addition to your garden, gone are the times spent maintaining your shed, now you can spend time in the shed instead! 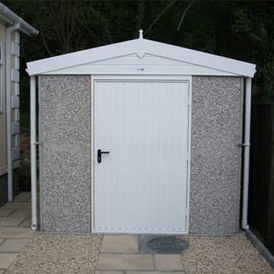 Created with multiple bolts that join the panels together, this design provides joins that are not just tidy but weather tight! 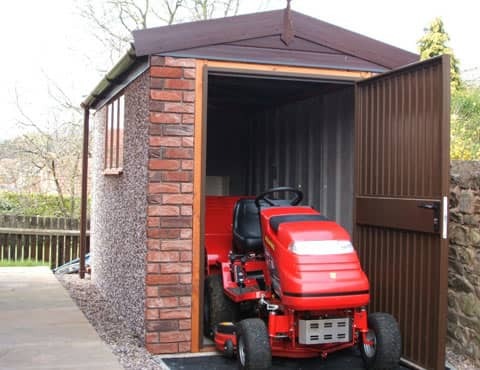 If your standard shed just isn’t quite doing it for you get in touch with us today to learn more about our incredible concrete sheds & what they can do for you. 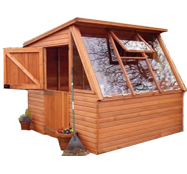 Potting buildings are perfect for the enthusiastic gardener, they provide a convenient place to begin growing your potted plants. 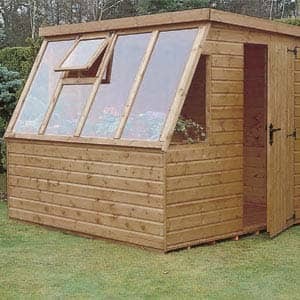 With large windows & skylights, they allow plenty of light in to really get your plants growing! 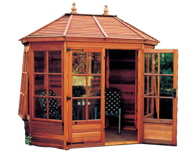 Among our wide variety of garden buildings, we are certain that you will find the perfect one for you. 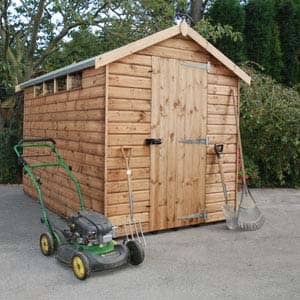 Whether you just a standard potting shed, or if you want to have a larger one to hold a larger collection of pots. 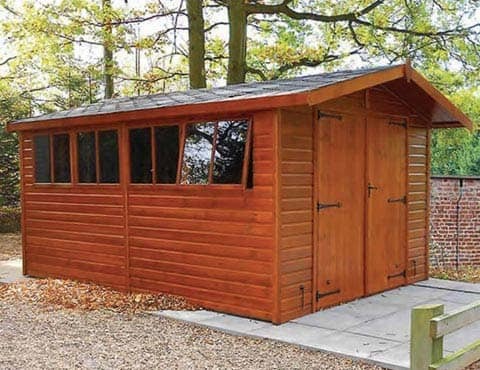 If you are interested in any of our products then please get in touch with us to find out more information about our range, please contact us on 01608 643784 and one of our team members will be able to assist you. 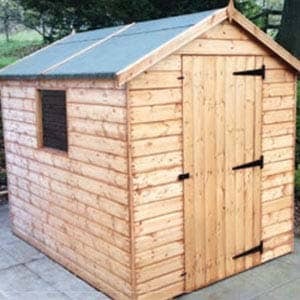 Alternatively, you can enquire using our contact form and we will deal with your inquiry promptly. 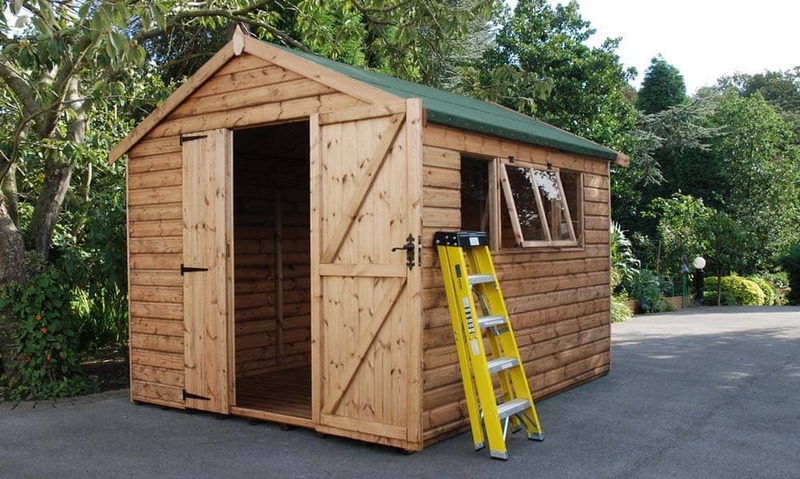 If you are in the area then you are always welcome to come down and take a look around our show area and come in and have a chat with one of our friendly team members.